RRResearch: In the lab! Doing PCR! Successfully! In the lab! Doing PCR! Successfully! 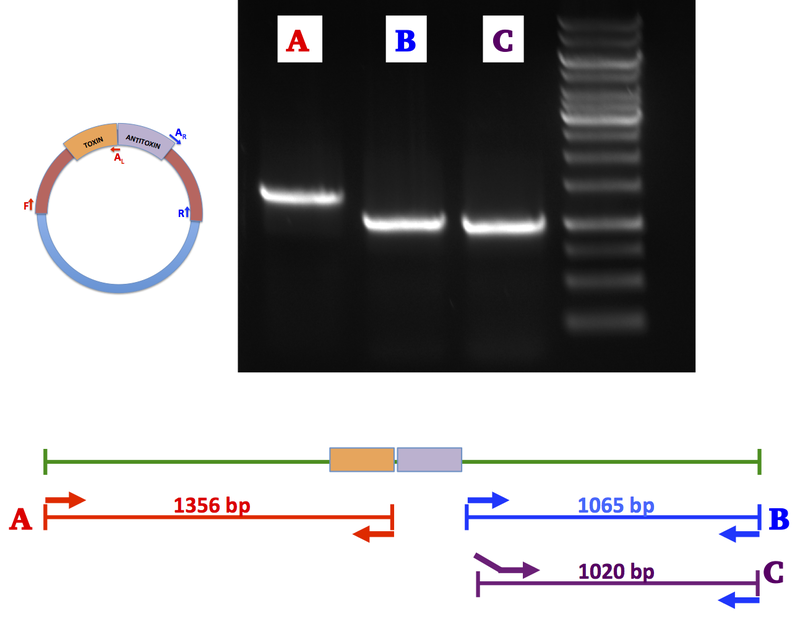 I have primers for the A-R and A-F sites shown in the previous post, but they weren't designed to work with the F and R primers I also have (F with A-R, and R with A-F). But I decided to go ahead and test them anyway before I order the new S-F and S-R primers I will need for amplifying the SpcR cassette, and for linking the other amplicons to it. 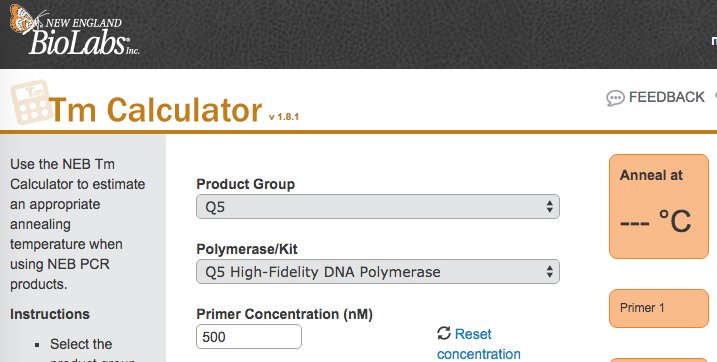 The New England Biolabs primer evaluation software recommends against PCR using a pair of primers whose Tms differ by more than 5 °C, but I don't have much to lose, so I'm running them anyway. I'm also testing another version of the A-F primer, designed by the honours student. 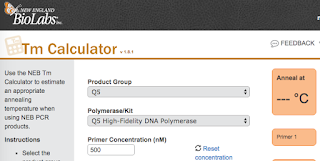 I'm using our high-fidelity Q5 polymerase instead of Taq, because I need the product to be error-free. Unfortunately each pair of primers requires a different annealing temperature, so I'm doing three PCR runs, each with a single tube. And tomorrow morning I can run a gel to see if any of them worked. It's tomorrow, and OMG!! !, all three PCRs gave excellent products! So I just need to design and order SpcR primers with tails that will base-pair to the inner ends of products A and B.